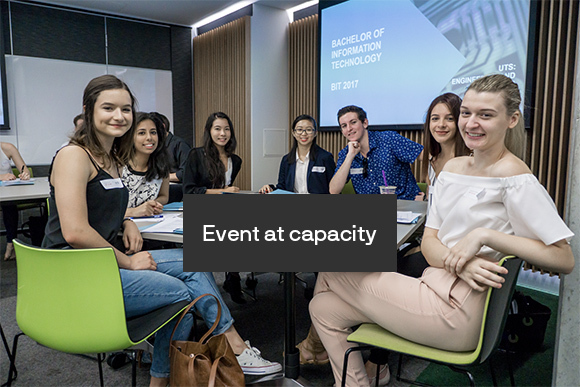 The UTS Bachelor of Information Technology (BIT) Co-Operative Scholarship, valued at approx. $49,500, is accepting applications from current Year 12 students starting their university journey in 2018. The Bachelor of IT Co-Op Scholarship, valued at approx. $49,500, is a flagship IT program for UTS. The BIT attracts high calibre students who are passionate about technology and motivated by the exciting opportunities which are emerging. It's equally attractive to our 50+ industry sponsors who want to work with this niche group of students who are the innovators of the future. We invite teachers, students and parents to learn more about this flagship program from leading academics, industry sponsors and current students. This event has now reached capacity. If you would like to receive updates about the BIT course, please register here. © Copyright UTS - CRICOS Provider No: 00099F - 31 July 2017 04:24 PM. The page is authorised by Deputy Vice-Chancellor and Vice-President (Corporate Services).